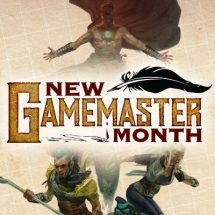 There’s still time to join New Gamemaster Month: Pick a system, follow the instructional posts, and discuss in the Facebook group or on Twitter! Happy January! Here at MCG we’re starting to think about the summer convention season (because the event submission deadlines start to happen in the next few weeks), and that means thinking about running one-shot games. These sorts of RPG sessions aren’t like running an ongoing game for your regular group. 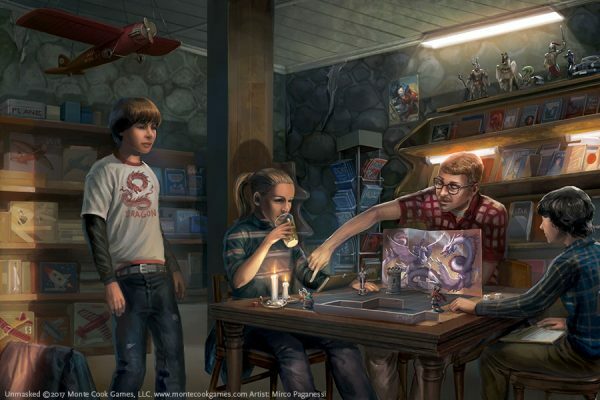 In a one-shot (whether at a convention, game store, or as part of New Gamemaster Month), you might be running a system or genre the players have never played before. You might be GMing for people you’ve only just met. To help make your one-shot GMing easier, smoother, and more rewarding for everyone, we’ve put together these tips for you. Most of these tips are aimed at running Cypher System games, but can broadly apply to other games as well. 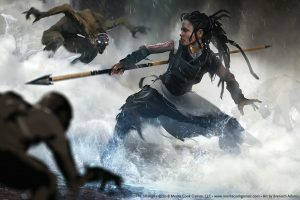 Use Pregenerated Characters: Unless the game you’re running really needs the players to create characters as part of that session, have a set of pregens ready for the players. That lets everyone get right into the action and skips worrying whether they chose the best abilities for their character. Also, by knowing the character types in advance, you can make sure the characters all have something to do in the scenario you’re running—a character whose main theme is interacting with robots falls flat in an adventure that doesn’t include robots. Take Notes: When the players introduce themselves and their characters to the group, write down their character names, pronouns, and important details (such as “Rellis, she/her, Cheerful Arkus who Wears a Sheen of Ice”) in order as they go around the table. 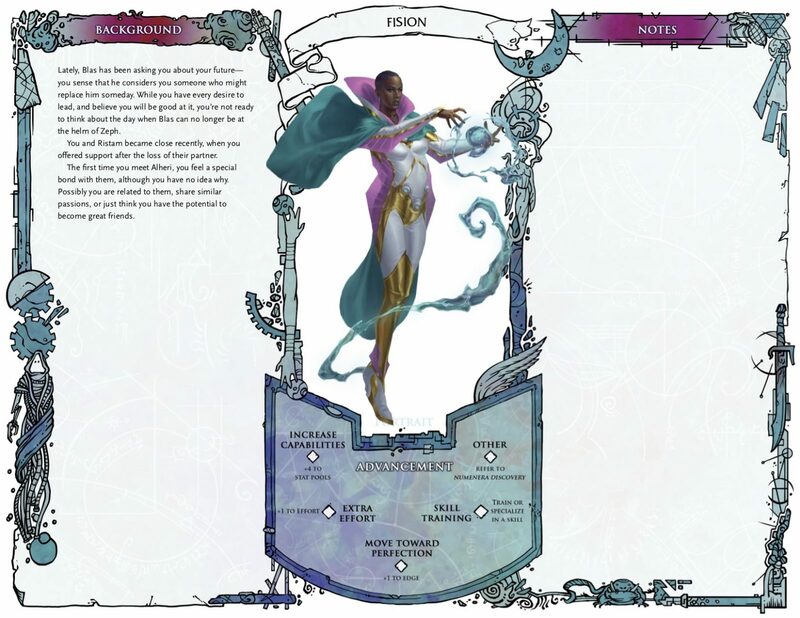 Even better, if you have time to prepare, make stand-up cards containing this information for each character (or write the info on the edges of a battlemat); this way, everyone can refer to each other’s characters by name, thus immersing them into the scenario from the start. Start Strong: You usually don’t need to explain much of the rules before you start playing. Give a short rundown of the most important couple of rules (like how Pools work and how to make a task roll) and introduce other rules as they come up in the scenario (like skill training, Armor, and applying Effort). Go over the basics of the setting, and start playing—remember that you can always pause to fill in the blanks if some aspect of the setting becomes important during the adventure. Be a Fan of the Players: You’re running this game because you like this game system and the setting. Your goal is to show the players a good time, and that means helping them with your insider knowledge about how the game works. Helping their characters succeed lets them see the best parts of your game and will make them fans, too. Be flexible and try to support their unusual ideas—use the phrases “yes, and” and “no, but” to facilitate getting their ideas in play. Move the Spotlight: It’s easy for one or two vocal or knowledgeable players to be the most dominant. 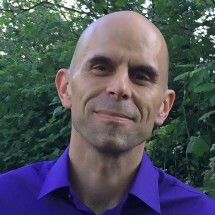 As a GM, you can give players more opportunities to be awesome by introducing a challenge for which their character is an expert, or adding a GM intrusion that makes what their character is doing important to the story. Try to make sure every player gets a chance to shine. Do a status check about every 30–60 minutes to see if there’s a player who hasn’t had a cool moment or a reason to talk in a while, and keep the spotlight moving. Give Out XP Like Candy: Cypher System characters in a one-shot game are probably spending all of their XP on rerolls instead of saving it for advancement. That’’s a good thing! Start each character with 1 XP, use a GM intrusion at least once on each character, and use a group GM intrusion at least once during the session. Encourage them to spend their XP when they need it (but maybe save one for the “boss” encounter) and hit them with another GM intrusion soon so they look forward to spending more. More rerolls means more successes, and more successes means a more fun and memorable session. Watch the Time: If you have a hard time limit for ending the game, pay attention to the pacing. If it’s looking like you’ll end early, add another encounter or add a complication to the current encounter that makes it last longer. If you’re running long, truncate an encounter (having enemies run away or hand-waving their defeat when it’s a forgone conclusion are easy options) to make sure you have time for the big finish. Have Fun, Together: You’ll make mistakes and the players will, too. Don’t worry about the little details and don’t spend time looking up obscure info if you can just make a quick ruling and move along. Remember that you want everyone to enjoy the game and you want them to get to the end of the adventure. If that means the ravage bear in the second encounter died too fast because you forgot it had Armor, that’s okay (maybe it had a cold?). Focus on the fun and the excitement, and your game will be a hit. This entry was posted in Articles & News, Game Better, GM Better and tagged convention, Gamemastering.